Last month, the National Collegiate Athletic Association (NCAA) College Baseball World Series (CWS) took place in Omaha, Nebraska with the country’s top teams competing for the title of national champion. This summertime tradition in America’s heartland caps off the season for the young athletes looking to make a name for themselves as they seek to go pro. In the run up to the CWS, two Armenian American baseball players undertook their mission for the early summer slate in a series of 3-game playoffs to mete out the NCAA crown. Florida college teams are among the finest in the nation as Florida State University (FSU), University of Florida (UF), and University of Miami (UM) all ranked in the top 25 in the 2014-15 season. This year, University of Miami second baseman George Iskenderian became only the second Miami player ever to win the Atlantic Coast Conference regular season batting title. He finished the regular season with a .391 batting average and started all 55 games. Iskenderian was recognized with first-team awards for another great year, originally playing short-stop before moving over to second base. Last year, he hit .373 with 23 RBIs in 40/55 games. A junior college transfer and native of Englewood Cliffs, New Jersey, Iskenderian helped make UM one of the most potent lineups in all of college baseball. During the CWS he hit .300 and went two for four in the season ending game against UF. UM took 6th place in the CWS, an admirable accomplishment. Although the St. Louis Cardinals drafted him last year he decided to stay in Coral Gables to complete his senior year at the “U.” In the 2015 draft, Iskenderian was selected by the Milwaukee Brewers in the seventh round (211th overall). In addition to our own college baseball star, another young Armenian American athlete made a name for himself this season. 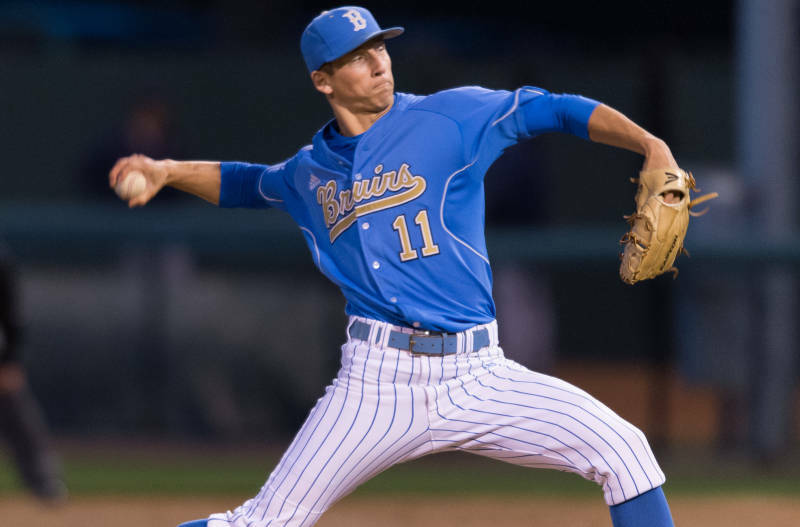 James Kaprielian, a pitcher for the University of California at Los Angeles (UCLA), has shown his Bruins how pitching with numerous methods can bring his team victories along the path. He had one of the greatest pitching careers ever recorded by a Bruin. He recorded the fifth lowest ERA in program history, with sixth most strikeouts of all-time. Kaprielian was All-Pac-12 first team designee in this his last season. Although UCLA didn’t make it to the CWS finals, Kaprielian received good news last month when he was the top pick of the New York Yankees (16th overall) in the 2015 MLB draft. The Yankees consider him very coachable and a good fit for their pitching roster, which is a big plus for teams who want someone they can trust for the betterment of the franchise. Kaprielian has had a challenging year and for him to work his way up to a top prospect in major league baseball is quite a feat. September, 2012 marked the 90th anniversary of the Smyrna catastrophe when much of the city, the second largest in the Ottoman Empire, was destroyed by fire four days after the Turkish army had occupied the city. The calamity, a part of the final phase of the Armenian Genocide, marked the end of a strong Christian presence in the historic Aegean coastal regions and turned hundreds of thousands of Greeks and Armenians into refugees. In this illustrated lecture, Prof. Richard Hovannisian will discuss the important role of Smyrna (Izmir) in modern Armenian history and the inferno that engulfed the city in September, 1922. Hovannisian is the editor of the recently published Armenian Smyrna/Izmir, the eleventh volume of proceedings from the University of California Los Angeles (UCLA) conference series “Historic Armenian Cities and Provinces.” He also traveled to Izmir and environs in June, 2012 as the historian-guide for a NAASR Armenian Heritage Tour led by Armen Aroyan. Professor Hovannisian was the first holder of the Armenian Educational Foundation Chair in Modern Armenian History at UCLA. He currently serves as Distinguished Chancellor’s Fellow at Chapman University in Orange County, CA and Distinguished Visiting Lecturer at the University of California, Irvine. He is the author of Armenia on the Road to Independence, the four-volume history The Republic of Armenia, and has edited and contributed to more than twenty-five books including The Armenian Genocide in Perspective; The Armenian People from Ancient to Modern Times; Remembrance and Denial; Looking Backward, Moving Forward; and The Armenian Genocide: Cultural and Ethical Legacies. The event is free and open to the public. 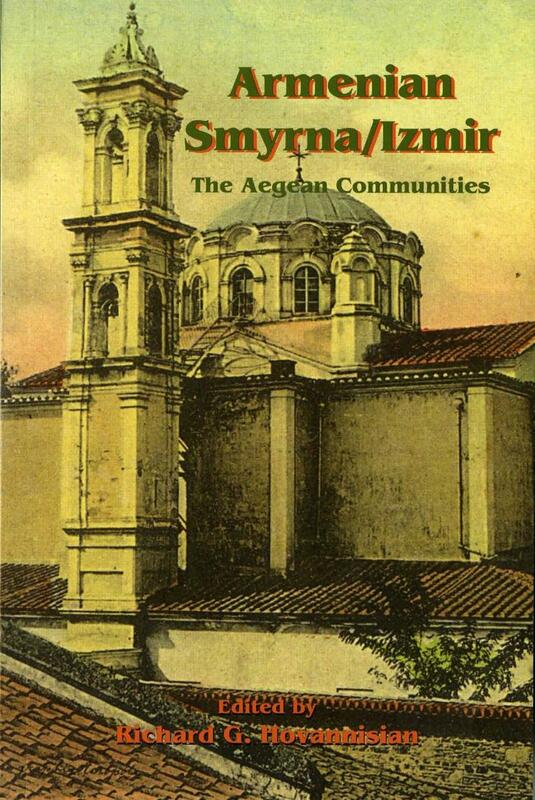 A book signing of Armenian Smyrna/Izmir will immediately follow the lecture. For more information please contact St. David Armenian Church at (561) 994-2335 or stdavidarmchurch@bellsouth.net, or NAASR at 617-489-1610 or hq@naasr.org. Mahwah, NJ – Earlier this month, Florida Armenians (FLArmenians) Editor Taniel Koushakjian joined over 300 Armenian-Americans for the Armenian National Committee Eastern Region’s (ANCA-ER) 6th annual banquet. Mrs. Nora Kzirian, a former FLArmenian, served as the evening’s Mistress of Ceremonies, as the community honored Armenian studies luminary Dr. Richard Hovannisian, and Artsakh rights champion her ladyship Baroness Caroline Cox. National Association of Armenian Studies and Research (NAASR) Director of Academic Affairs Dr. Marc Mamigonian gave a moving introduction about Professor Richard Hovannisian, this year’s ANCA Vahan Cardashian Award recipient. Dr. Hovannisian, a professor of Armenian and Near Eastern Studies at the University of California Los Angeles (UCLA), is a pioneer of Armenian studies in the United States. He has authored many books and edited and contributed to at least a dozen other works. In 1987, he was appointed the first holder of the Armenian Educational Foundation Endowed Chair in Modern Armenian History at UCLA. “I’m deeply honored and thankful to the ANCA for considering me worthy of receiving this award. Vahan Cardashian remains a champion and a symbol for the Armenian people. I feel very satisfied after my long career, and I feel rewarded that I’ve had more than a half century of wonderful experiences in the classroom teaching generations regarding Armenian history and identity,” Hovannisian said. Ms. Virginia Davies, who sponsored FLArmenians’ participation, introduced Baroness Caroline Cox before presenting her with the ANCA Freedom Award. “Speaking in the British parliament is a place to give voice to the voiceless, to speak for those who can’t speak for themselves. … I would like to say thank you to the Armenian people, who in that holy land of Artsakh have formed that front line of faith and freedom for the rest of the world. We who live in freedom, we who call ourselves Christian, owe you a debt of gratitude for holding that front line for us. With all my heart, I thank you,” the Baroness said. Baroness Cox has visited Armenia and Nagorno-Karabakh 78 times to date, many of them during the war with Azerbaijan in the early 1990s, and is planning on at least two more visits in 2013. Working with the Humanitarian Aid Relief Trust (HART), she helped establish the Lady Cox Rehabilitation Centre in Stepanakert in 1998, which has become a leader in providing care and rehabilitation for those with physical or mental disabilities. Among the dignitaries in attendance were Archbishop Oshagan Choloyan, Prelate of the Eastern Prelacy of the Armenian Apostolic Church of America; Very Rev. Fr. Thomas Garabedian of the Armenian Catholic Exarchate of America; His Excellency Ambassador Garen Nazarian, Permanent Representative of Armenia to the United Nations; Congressman Frank Pallone, Jr. (D-NJ), Co-Chair of the Armenian Caucus; Executive Director of the Armenian Missionary Association of America, Mr. Levon Filian; Armenia Fund USA Chairman, Mr. Khoren Bandazian; and many prominent community benefactors.